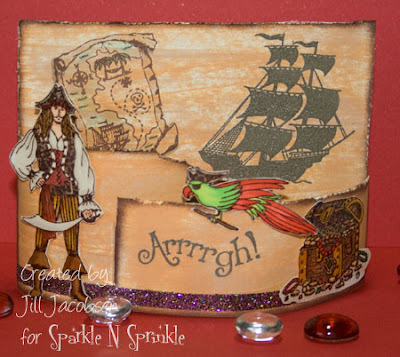 Shared Inspiration by Jill Jacobsen: Ahoy Mates! The Treasure Hunt has started in the Tampa Bay area scrapbook stores! Sparkle N Sprinkle is participating for the first time this year and had to do it up right! 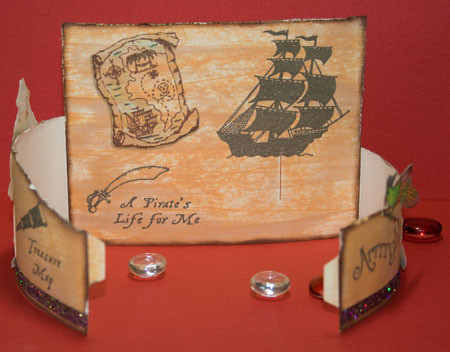 We had 2 special stamp sets made for the event and a Pirate Queen Sparkle Glitter! There is another Bendy Card I made with the Treasure Hunt stamps. I like the fact that the card opens up and lays flat too. Here is the card I made for my daughters birthday a couple weeks ago. I do plan on doing a video for this card, but may not get to it until after the Treasure Hunt, we will see:) I also made a cut file for it so if you are interested in it let me know. Great job on the cards! Can't wait to see a tutorial! 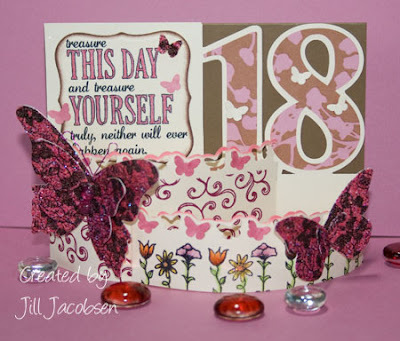 Loving your bendy cards Jill - what a great idea! 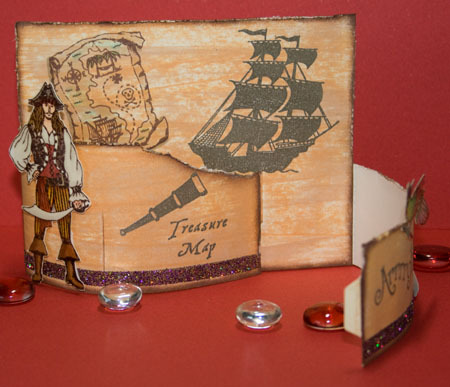 fantastic card design, Jill! Hop you are hoppin' busy with the treasure hunt! Hi Jill! LOVE the treasure chest! I have awarded you the "Liebster Blog" award! Check out my blog to find out why! The treasure hunt sounds like so much fun! Love your "bendy" cards. Will have to check out a tutorial.